Knipex claim to be the world’s leading brand in pliers today. Their tools are guided by the customers’ needs and requirements and they aim to meet their high expectations. Produced in Germany, they are constantly improving their products, utilising modern production technology and using high quality materials. 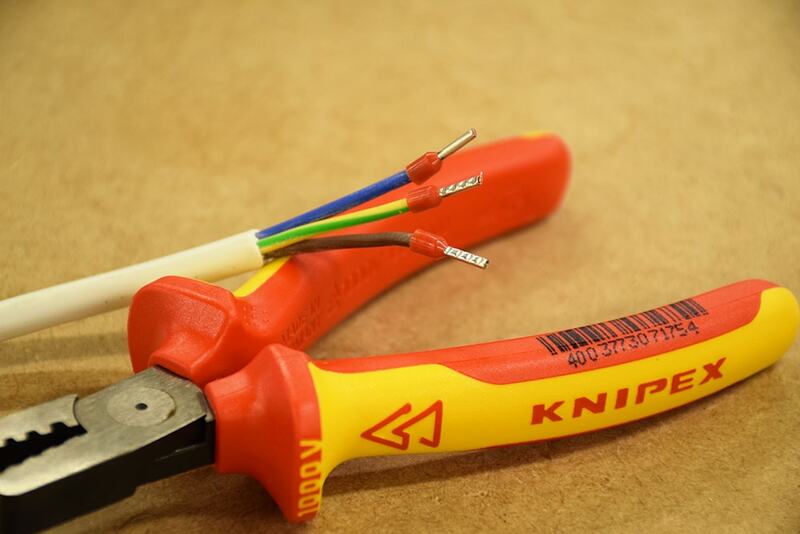 In order to meet the requirements of 17th Edtion Wiring Regulations BS7671 and to enable good terminations of multiwire flex, one of our electrical trainers recently purchased the Knipex crimping tool (97 68 145A). 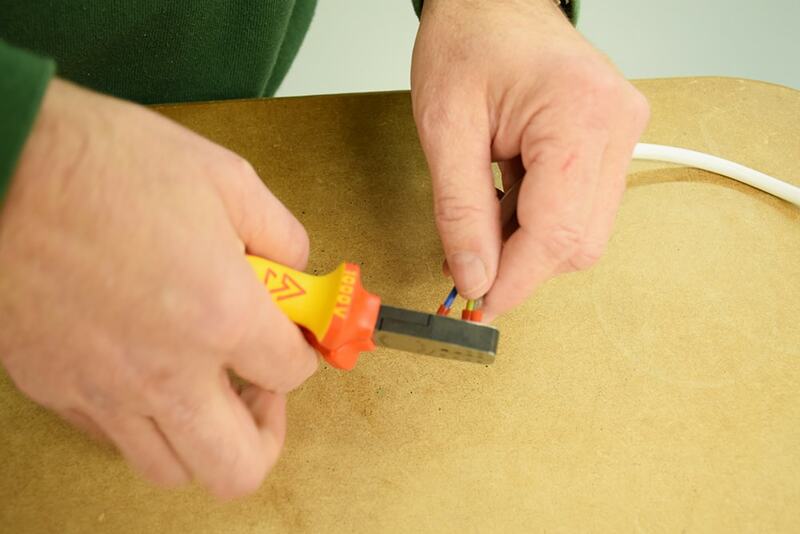 Rating them “a really useful tool for use in my site tool belt”, he explained that they were excellent for the crimping of ferrules (end sleeves) on ceiling roses, cable flex connections in plug tops and any other small flex connections. Our trainer explained that “the pliers give a clean, accurate finish and without overdue effort for small ferrules – an all round great tool!”. The crimping tool is designed for crimping ferrules from 0.25mm up to 2.5mm². 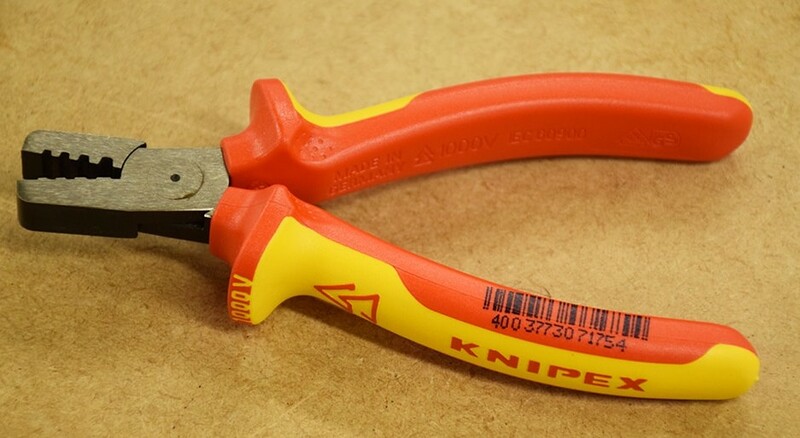 For reliable connections between the sleeve and conductor, the tool crimps have clear and precise sizing indicators. Although the packaging of the tool is minimal, it works with the brand message of being eco-friendly as it’s recyclable. Knipex strive to be an economic, social and ecologically sustainable development. For a bargain tool, it does the job neatly and efficiently. However, there are alternatives on the market that are more cost effective. This particularly Knipex crimping tool comes with just one blade attached, but you can get a ratchet set for a little bit more money (£20-25) with more blades. Jago and Smallwise Trading offer a crimping tool set that does bootlace ferrules and other ferrules up to 3.5mm², with 5 interchangeable blades to do different types of ferrules. Although Knipex is a leading brand of pliers, there are alternatives on the market that offer more blades at a cheaper price and are just as good. 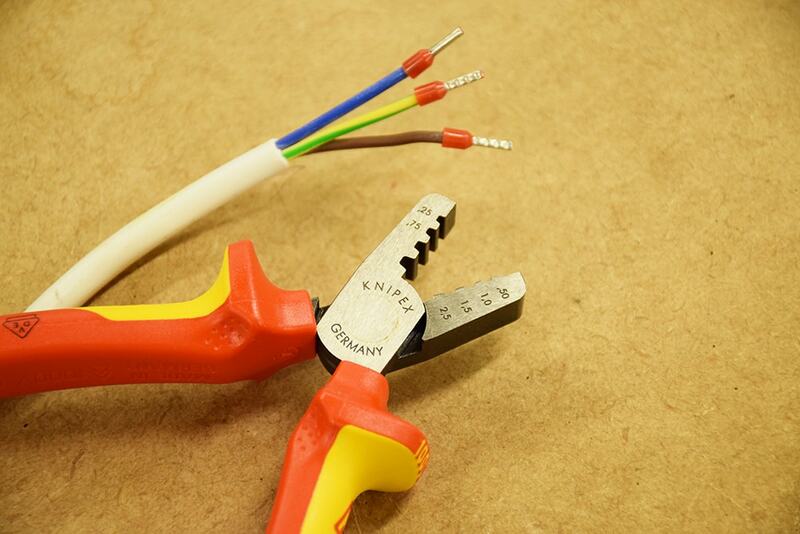 It’s important to do your research on electricians tools and find the best out there to fit you. You can buy Knipex Crimping Tool 97 68 145A 1000V from Amazon or a Knipex retailer. If you enjoyed reading this tool review, find out what we thought of Wago Connectors!